These chairs are straight out of the 1970’s – having had only one owner. The chrome is beautiful. No pitting or oxidation. The upholstery needs a face lift. One chair has the original brown suede upholstery. It has seen spills and wear through the years. The other chair has been recovered in a brown velvet-y fabric. It also has seen better days. Recovered, these would look so terrific. Check out the lines! I just love the graceful curve of the arms into the base. 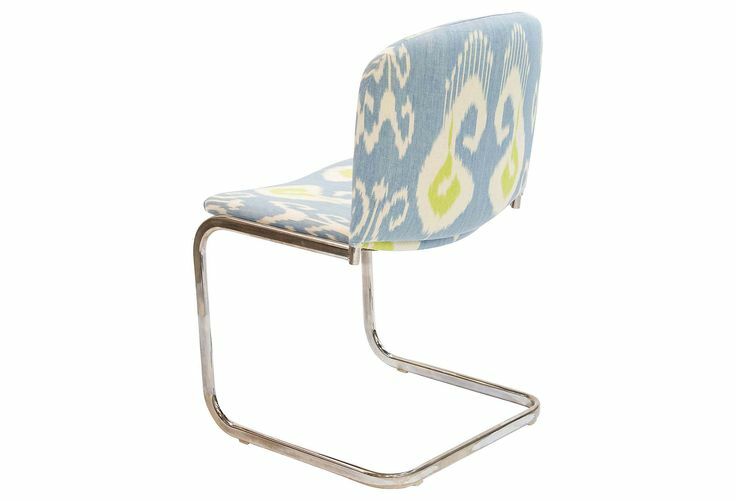 I absolutely love the fun fabric on this chair! The bucket shape of these chairs is inviting. 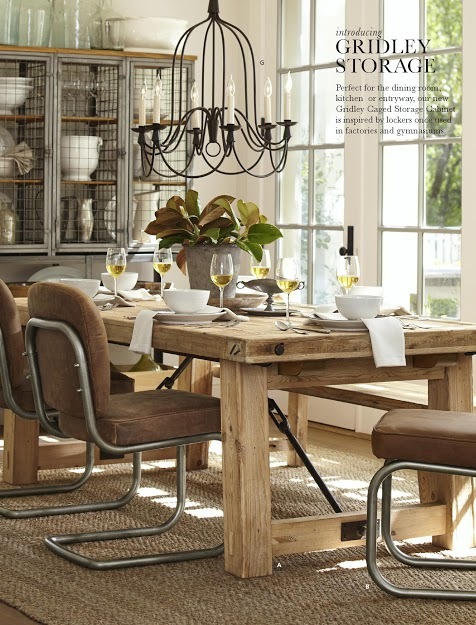 Paired with a Saarinen table, you have a very modern look. You can always keep the upholstery “retro”. Cantilever chairs always make great desk chairs! 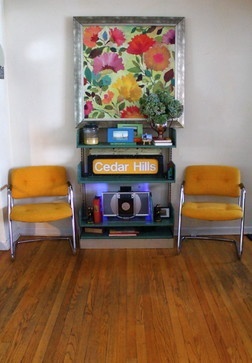 This is a fun & eclectic living room! I love the mix of the chrome chairs with the turned leg ottoman. How do you envision these chairs? If you envision them in your home, they’re available in the Pursuing Vintage Shop! Great find. I would love them done in a rich cotton velvet. I am and always have been obsessed with navy velvet. Sigh. Wish you lived closer. I would snap these babies up! Oooh – Barb! Navy velvet would look great! Good call!